Fill out the form below we'll get started on your FREE quote. We are fully insured and bonded. All our staff undergo background checks and are trained on security rules and procedures. We promise to make your home clean and tidy to your satisfaction. If you are not happy, we will come back and fix it. Free of charge. Need a spotless home fast? We can have a team come by in less than 24 hours. Just give us a call! We only use products that keep you and your children safe from any harmful chemicals. Listen to what our Winnipeg Customers have to Say! I had your company clean my condo. the cleaning ladies that came did an excellent and thorough job. I wish to hire you on a full time basis. Would it be possible to have the cleaning ladies come once every two weeks? Same day, Mondays ? If you can't fit me in there, how about Tuesdays? Thank you for such professional staff. 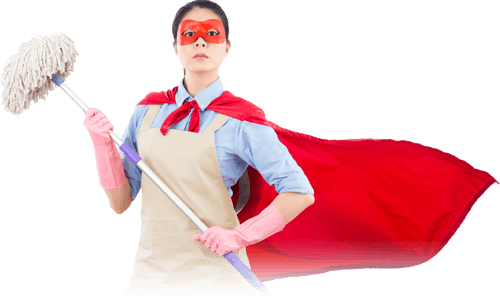 Don't have the time to roll up your sleeves and get all your cleaning chores done? That is what we're here for! Be it a one-time spring cleaning or a monthly check up. What ever your cleaning needs, we are ready to tailor our service specifically for you.